Furiends I got into trouble today for snooping. I was allowed outside for the first time in days and I just couldn’t resist running off and hopping on the boats opposite us. 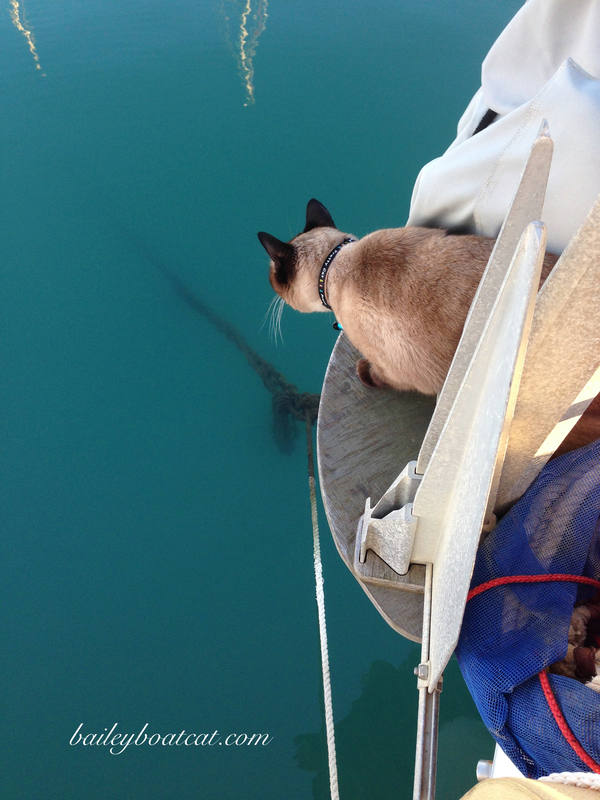 I did a leap up and down the whole pontoon, from one boat to the other, while the humans called for me to come back! They said that if I’m not invited onto the boats than it’s classed as trespassing and I’m snooping! I really wasn’t I just wanted to say hi to everyone. I think they overreacted by pointing the hose in my direction to encourage me to run and jump home. My humans worry since I’ve fallen in a couple of times that I can’t be trusted to roam freely in the marina. They also say I might not be welcome on the other boats. Luckily for me, all of the humans on our pontoon love me. (Why wouldn’t they?) Once I was safely back in the cockpit I calmed down and relaxed. It’s been such a beautiful day here I can hardly believe it’s January. My grass is looking a little bit sorry for itself but I still love to rub my face in it. I also enjoyed looking deep into the marina waters, I’ve really missed fish TV! As you can probably see I’m still wearing the ‘pretty’ awful collar but the humans have promised that I have a new one sailing to us as we speak and I should have by next week! Horray! OMC!!! you are having way too much fun! You are always having such adventures Bailey. Whee feel like whee are living through you! That’s enough excitement, whee need a nap now! Another adventure….keep having them. It keeps us young. Oh gosh, Bailey, I know you were having fun but I’m sure your humans were really worried about you. You are so handsome I would be afraid that someone would try and steal you and your humans probably worry about that, too. Plus if you fell in, well, it would be scary. Your grass is looking a bit sad but as you say, it is still nice. My girls love the pot of grass I have been growing for them, too since we are completely into winter here now. Bailey, we can’t believe the other boaters wouldn’t love having you around. I can totally see you doing that, Bailey. Sometimes we just can’t contain ourselves. At least you didn’t get locked up again. Happy New Year! 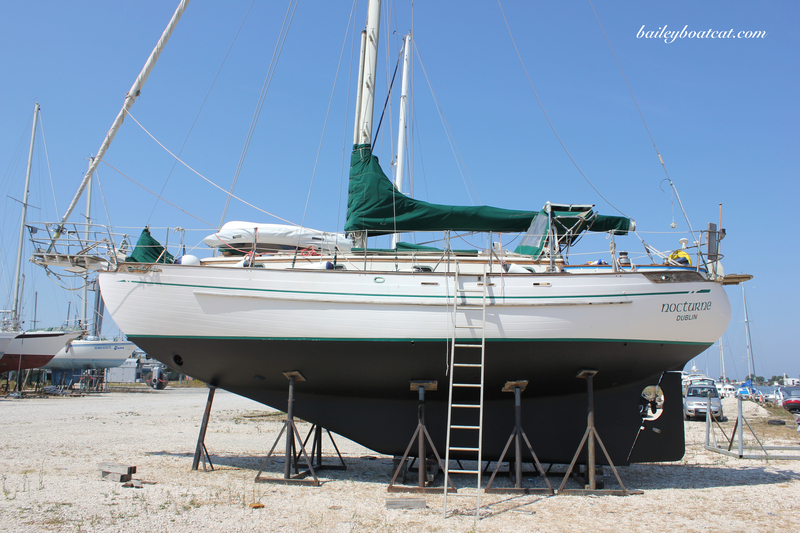 Bailey, I am certainly glad that you made it back to your own boat safely and without being arrested for trespassing! Be careful, my buddy! Pawrents! They sure does not like us to goes exploring…. 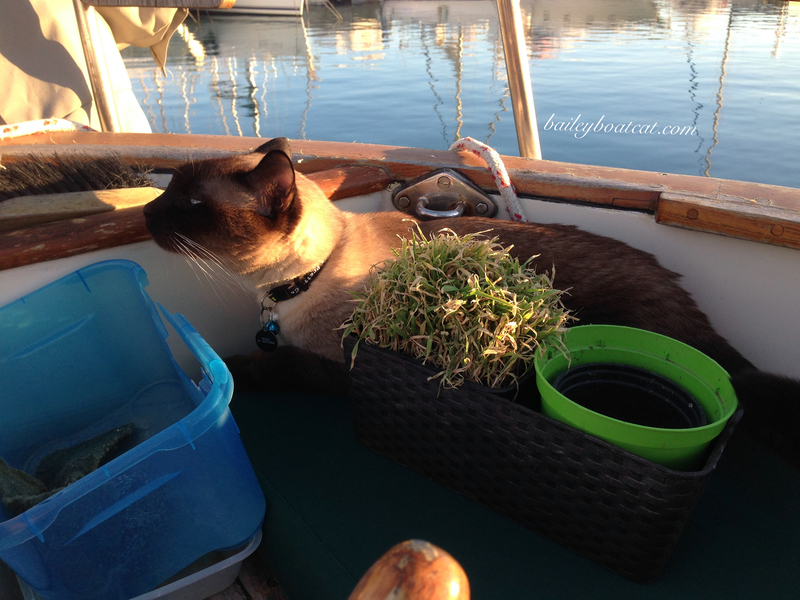 Bailey, even though boat hopping probably wasn’t a good idea, I totally understand – I’ve been cooped up for a couple of weeks because my human didn’t feel like taking me around in the cold weather (she wanted to just get her errands done and come home). But she could tell I was getting antsy, and since it was nice today, I finally got to at least go out for a walk! Oh well our Peepss know what iss best fur us rite?